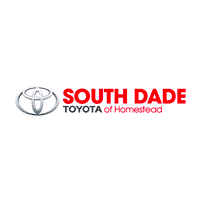 We’re proud to say we’ve been in business since 2009, and we’re flourishing because we run our dealership with one goal in mind – when customers arrive at South Dade Toyota of Homestead, we’re not interested in just making a sale as our main objective is to give our customers the attention and assistance that they deserve. We accomplish that mission by making sure all of our customers, whether they’re from Homestead, Miami or anywhere else, get the service they deserve. We don’t care if you need a new Toyota, one of our many pre-owned vehicles of all makes and models, an oil change or any other service or parts need, we’re going to make sure you leave happy and satisfied. Speaking of Homestead, we know we couldn’t succeed without the support of our community, which is why we work to give back to the people that have helped us succeed in any way we can. We’re full of Homestead pride, and we make sure that shines through in everything we do. We feel the same way about our experienced and friendly staff. That’s why we work hard to create a workplace our employees are proud to be a part of. Having happy employees means we’re going to have happy customers, and that’s our main goal here at South Dade Toyota of Homestead. And since we’re a family-owned dealership, it’s that much easier to treat each and every one of our employees and customers like just another part of the family. But seeing is believing, so come on by to check out our South Dade Toyota of Homestead lot and the smiling faces that inhabit it. And please feel free to reach out to any of us here at South Dade Toyota of Homestead with any questions, comments or concerns you may have. We’re here to help.